The hole in the ozone layer has more to do with politics than deodorants, a respected French scientist told reporters recently. 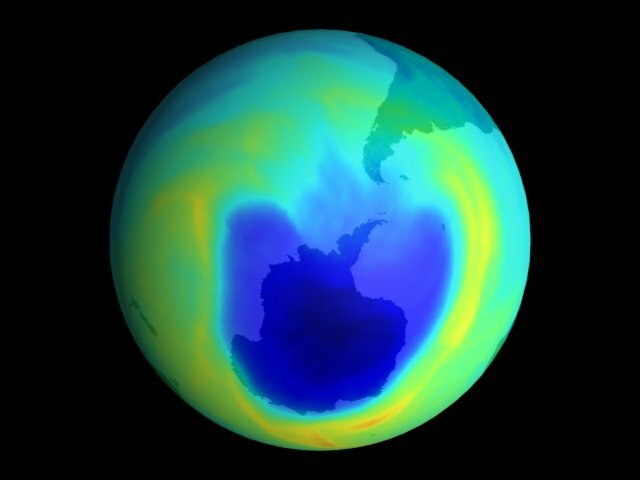 Outspoken Haroun Tazieff claims that the disintegration of the ozone layer by the infamous CFC gases "Is a complete lie," he told me vehemently, when we met in Paris recently. "The ozone hole is a natural hole which appears above the Antarctic at the beginning of October and has disappeared by the end of December. In Europe, I think I'm the only person to refute it, and I have never been officially contradicted, neither by ecologists nor by scientists." Yves Cochet, spokesman for the French ecology party, Les Verts, admits: "Although the majority of scientists say that DFC gases probably have a lethal effect on the ozone layer, nothing has been proved." He adds: "We are obliged to talk of an ozone hole in the media, because then people get a very visual impression, but of course, it is much more diffuse than that." At 80, Tazieff remains as clear-thinking as ever. He argues that many of France's leading ecologists have no scientific background. A former boxer, he trained first as an agronomist and then as a geologist, which led to a lifetime study of volcanoes. One of the founding fathers of the French ecological movement and a former minister for the prevention of major natural and technological risks, Tazieff is well qualified to talk about environmental issues. He has been adviser to most of France's environment ministers over the past decade. Despite this he asserts that Green parties are running a "campaign of deliberate, untruthful scaremongering," and the imaginary problems they espouse have led to millions of pounds being directed towards "environmental windmills" rather than the real threats of pollution. It seemed strange to Tazieff that an ozone hole situated above the Antarctic was blamed on CFC gases, when most deodorants were sprayed in the northern hemisphere. He was surprised to discover an article in the 1950 Annals of Geophysics reporting the existence of ozone holes above Norway in 1926 - years before CFC's were even dreamt of - and was astounded to find that the hole above the Antarctic was not the recent phenomenon ecologists claimed it to be. It was actually discovered as far back as 1957, he says, by the English scientist, Gordon Dobson, but it was only in the mid-eighties that satellite photos began to highlight it in a rather spectacular way. Even if CFCs do have an effect, he asserts that it must be an insignificant one. After all, it is alleged that it is the chlorine in the CFCs which breaks down the ozone molecules. However, only 7,500 tons of chlorine are released from the breakdown of CFCs every year, against 600 million tons from the evaporation of seawater and 36 million from volcanoes. What is more, the effect of chlorine is to break down the ozone into oxygen plus by-products, and it simply requires the presence of ultraviolet rays to transform the oxygen back into ozone. Large chemical companies wanted to keep their monopoly on the market. After half a century of being protected by patents, CFCs were on the point of falling into the public domain. To keep the whole of the pie themselves, what better way than to have them banned, requiring the use of a replacement gas, which is difficult to produce and thus remains exclusive to large companies which possess the technical know-how. Additionally, this initiative has required the abandonment of tried-and-true refrigerants in automobile air conditioners, in favor of expensive experimentation with "refrigerants" which are ineffective, damaging to equipment, and excessively costly. This has not only had the effect of causing unesessary expenses and hardship on car owners in the U.S., but also has inflicted poverty and starvation on poorer nations which have to maintain food stocks in climates demanding refrigeration. With the "illegality" of their old-fashioned regrigeration units, the UNEP is effectively mandating tyranny and increased poverty in third-world countries. Wherever people are screaming inexplicably over an unprovable issue, you will eventually find "money" at the back of it, and in the most vile of manifestations.